A young woman who taught herself to bake now spends hours crafting amazingly realistic cakes which look just like SAVOURY SNACKS. Former makeup artist Molly Robbins, from Rossendale, Lancs, became a cake artist after she got an amazing reaction when she baked a sweet treat for a friend. 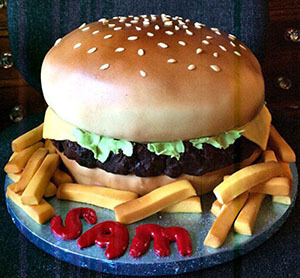 The 25-year-old – who is the daughter of Phoenix Nights legend Ted Robbins – set up business Molly’s Creative Cakes three years ago and prides herself on making quirky and unusual cakes for her customers. Molly has also won two gold and two silver awards at the Cake International competition since she started baking five years ago and plans to continue competing. She said: “I did a degree in special effects makeup so I was always creative but after making my friend a cake it’s just something I fell into – I never learnt the art of cake decoration though I just taught myself as I went along. “I like doing cakes that are more outside of the box and quirky because they’re just more interesting and hopefully it makes me stand out from other companies too. 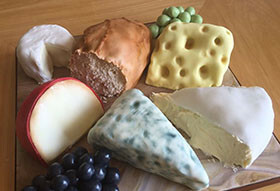 “I think the strangest cake I’ve had to make on an order so far is the cheese board cake because I was there trying to make the Stilton look all mouldy, which is obviously not something you’d actually want on a cake. Despite her 44,000 followers on social media, Molly says her number one fan has always been her father Ted Robbins – the actor and television presenter best known for his roles in Phoenix Nights and Coronation Street. Along with the realistic food cakes she makes, she also enjoys baking and designing realistic animal and wildlife cakes. 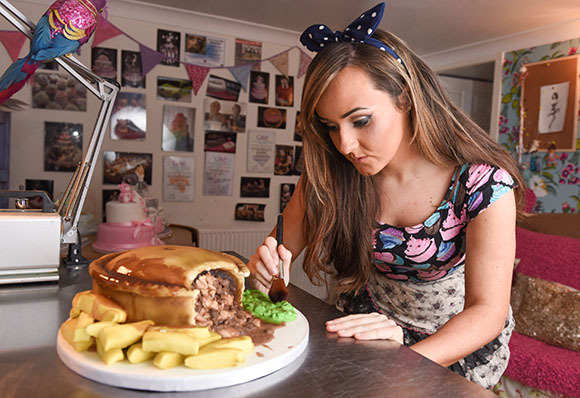 Molly’s most popular cakes so far have been an elephant, a ‘wedding night’ cake with the bride passed out on the bed and a meat and potato pie – with some of the treats racking up more than 22,000 shares. The majority of Molly’s creations are made of Madeira cake with jam and butter cream but all of them are personalised and made to order.